It’s not very often that a rifle changes the game of warfare, but we’re pretty convinced the Tracking Point Precision-Guided Firearm could do just that. This weapon is practically guaranteed to hit a kill shot every time. With state-of-the-art precision guided technology, the Tracking Point M600 SR 5.56 Service Rifle has could revolutionize hunting and warfare. But it comes with a hefty price at nearly $16,000 out of the box. It’s a worthwhile bargain, though, as this weapon is designed to take down enemy combatants and field game without doubt. 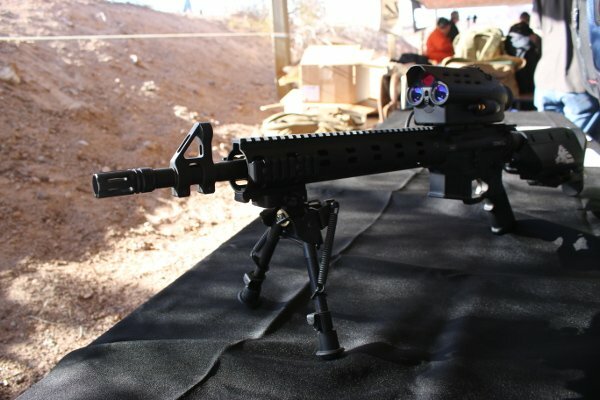 The only reason US snipers are not armed with these weapons today has to come to price, because this gun cannot fail. Just line up the target, hit the trigger and hold it down. When the sights come in line with the target once again, it fires a round. And it even works on moving targets. What basically happens is that the scope of the rifle creates an image, which is updated 50 times per second, tracking the target even as it moves. “We believe our guns will save lives and protect nations,” Chung said. The applications are truly game-changing, from eliminating the chance of wounding an animal that gets away to the near elimination of collateral damage in modern warfare.